Voices Art Show THIS Tuesday, January 24: You will get extra credit for attending and more if you bring a snack to share. 5:30 in the Main Hall. Celebrating the New Year in New York's Time Square. 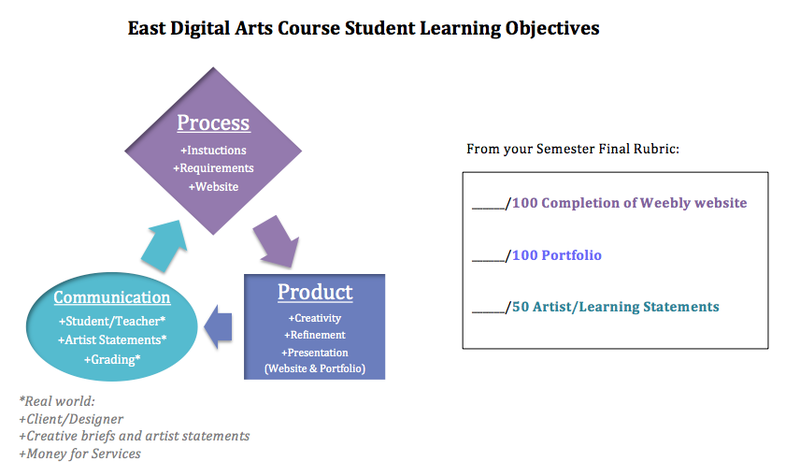 Looking at Semester 1 (Process, Product and Communication) based on Visual Art, CTE, and professional practices. What are your strengths and weaknesses? Find 3-5 pieces of graphic design work that was created in 2016. Save the images to your desktop or in a Semester 2 folder. Post 1 favorite image on the Padlet page for your class. Create an "Inspiration" tab on your Weebly Website. Put a title on it called: "Best of 2016"
Upload all of the images you found to your Inspiration page and caption them with why you chose that image. This week we will finish presentations of Persuation project.